There is a difference between disease control and symptom control for Rheumatoid Arthritis. There is no Rheumatoid Arthritis cure. You probably gathered that from yesterday’s funny blog. However, there are medications which can curb many of the effects of RA by actually cutting back the activity of the immune cells. These are the medicines referred to as DMARDs: disease modifying anti-rheumatic drugs. The most common are methotrexate and Plaquenil. There are others, but those are used the most today because they are considered the most safe and effective. Biologics like Humira, Remicade, and Enbrel are also used to hinder disease activity. This is a newer class of DMARDs. For a very few people, DMARDs bring on a complete remission of the Rheumatoid Arthritis. If you have taken them, though, you know that they are not a cure. They reduce the activity of the rheumatoid disease by interfering with some immune cells which attack us. But those immune cells continue to multiply and fight back. That’s one reason that I say this is like war. The disease has its weapons – various B and T cells and the cytokines they produce. And you have yours – medications, nutrition, and various therapies. If we had a cure for Rheumatoid Arthritis, then we could fire that ONE weapon and be done with it. Someday we’ll be there. Meanwhile, back at the ranch… We sit in our tank and fire our big DMARD guns at the rheumatoid disease. This way, we cut the enemy down to a more manageable size. However, then we still have to deal with what I call the “leftovers” – the many symptoms of Rheumatoid Arthritis which are left after the DMARD has delivered its blow. As warriors against Rheumatoid Arthritis, we might try to take as little total medication as we can take – and still be able to live our lives fully. Most RA patients live with lots of “leftover” pain. Why do Rheumatoid Arthritis patients live with leftover pain? We want to protect our organs from permanent damage due to long term use of too much medication. 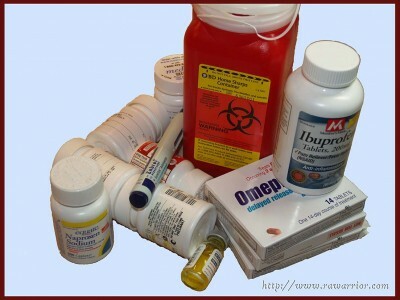 We want to avoid side effects of medications, which often compound some symptoms of the RA. We do not like being judged as weak by others because we are dependent upon medication. It can be hard when you are deciding whether to take more medicine so that you can get out of bed or whether you want to save your stomach, liver, or kidneys. It’s like a game of Risk. It is war. So we need to be strategic. If we are going to use any “big guns,” then they should be the ones which can do the most damage to the enemy. If we were shopping, we’d ask: What will give me the most bang for my buck? Usually, that means giving priority to taking whatever combination of DMARDs will provide us the most disease control possible. Then, after that, we decide how we’ll go after the leftovers. We have to – so that we can function. It’s not a perfect strategy, but it will do until the cavalry comes …with a cure. Oh my gosh – this blog is wonderful! I am so glad I found it. Leftovers – that is exactly what they are. Was trying to discuss this with my Rheumatologist today. Thank you so much for directing me to your blog. The information provided is much more concise and easier to understand. The only question I have is this: My doctor told me that I could be in the early stages of RA however he has not put me on the DMARDs mentioned on this blog and instead has me taking mobic and flexeril. He said it’s not severe enough for that stuff and he also said he didn’t want to put me on medication that no one would want to take me off of and he also mentioned that I was very young and he didn’t want to diagnose me with RA or another connective tissue disease, he mentioned seronegative Spondylitsarthopathy ( or something like that ). Is RA something that can be treated with DMARDs once it get’s severe enough or does it need treatment as soon as possible? Is it ok to wait until it really rears it’s ugly head? So far my doctor is going by my blood work. I had a low pos ana test at 1:80, neg for ra factor but I have all the symptoms of RA and another disease Lupus which has been ruled out. He said I could have seronegative RA but didn’t (again) want to put me on the medication yet. what would you do if you were in my situation? I had to have my doctor write out a letter of accomodation to my employer due to joint pain interferring with my job. Thank you for reading this and for finding me on twitter maybe all of us in the same boat can make some sense of this weird disease. I’m not a doctor, but I’ll tell you what I know. If your doctor is not sure you have RA yet, then that is a good reason he has not given you DMARDs. If you do have RA, then, yes, the most current medical science says to get on disease modifying treatment asap. Are you seeing a rheumatologist yet? 1) Maybe you will eventually get worse and it will become more obvious that it is RA. 2) Maybe you will do other tests or get a second opinion and find out that it is something else. 3) Maybe the whole thing will just go away. That is rare. I tell people to do as much research as possible and to keep good records of your symptoms and your medical tests. Take all that info with you when you see a doctor and bring a list of questions to discuss with him. Very often RA starts out slow like this. Pretty sneaky. But these are serious meds, so you need to be sure. It may take you a few months. I am sorry if that is not good news. I love your words about “all of us in the same boat” together making sense! That is what I think too. When you have time, read some more of the blog. I put in a search box to help while I am getting all the new stuff fixed. I hope this helps some. Thank you so much for your reply :). I am seeing a rheumatalogist and have been for almost a year now. He has mainly tested me for lupus and RA, but mainly Lupus because the joint pain hit very suddenly overnight. It comes and goes. When I finally went to see my GP for the joint pain he ran a CBC and I had some abnormal results, a low platelet count and a low lymph count. That was when RA or Lupus was suspected. I had lupus ruled out finally last week and now he’s focusing on RA and the other disease. He asked me to keep a symptom diary and to take pictures of any swelling or face rashes. Those were turned in and due to what was written down Lupus was ruled out thankfully! I do have a striaght back, my lumbar curve is absent due to that issue he’s leaning towards Akalosing Spondylitis ( sorry for the spelling ) if it is not RA but I guess time will tell. It’s been a very difficult year being sent to doctor after doctor. I am sick of seeing doctors! I’ve done quite a bit of research and all the research into RA state that treatment within the first year of symptoms is very important. that is why I was asking about treatment with DMARDs vs. waiting for it to damage joints if that is what it is. right now I’m just a big question mark, a sitting duck. for anyone considering not taking meds to stop the disease I think you should reconsider— I already have damage to my joints within the first year. I tell my patients that in advanced stages of RA, DMARDs and especially biologics might control inflammation, but pain might still prevail, because pain might be a symptom of post-RA OA. So symptom control is as important as disease control. One word to Sheri: as long as the diagnosis is uncertain, one shouldn’t use DMARDs, especially if seronegative spondyloarthritis is in question. But your doctor should come to a diagnosis soon! To Kathy: Thanks for this interesting information. One should look if the rheumatoid factor stays negative and if the anti-citrullinated protein/peptide antibodies (ACPA)are positive or not. I, too, appreciate this post. Much food for thought here. And I will share my past year’s experience to add to the pot – through the murkiness of diagnosis for RA. I am sero-negative something. The only thing positive in my labs is for AntiPhsophlipid Syndrome (with one DVT). But fatigue, bilateral stiffness, unreal pain & some swelling in hands, feet, wrists, elbows started suddenly last winter. There’s mild X-ray evidence of joint damage. I was put on Plaquenil for the APS & Ultram for the pain. I felt only worsening of symptoms through the fall of ’09. I had cut back on my hours at work as much as I could afford. In October, I sort of begged my rheumatologist for a trial of methotrexate because I kept feeling worse. Life was limited, to say the least – as many here can relate to. Now after five months of MTX with an occasional Darvocet on flare days (DC’d Ultram), this sero-negative something is no longer worsening. I have regained some energy, stiffness is less – and this new energy improves my pain tolerance. The rheumatologist has diagnosed this as RA for now – and she thinks it will clarify itself further with time. Was this the wrong approach for a sero-negative situation? Hey Marge, maybe the doc will come back to reply later, but here is a link you might have a look at. At least a third of RA patients get negative blood tests, so we need to rely on some other diagnosis methods also. There are other tests and there is the method you are using too – to see what works. Very helpful & reassuring, Kelly. Thank you. Marge, the decision, which DMARD to take first is made in the light of disease activity. Our approach is more hit hard and early. If the diagnosis is made, then establish an efficient DMARD therapy – and this would be methotrexate. Especially if there’s already “mild X-ray evidence of joint damage”. But I wouldn’t call it a wrong approach. Plaquenil might also work on seronegative RA. Thank you for clarification. It’s such a complex issue. But I’ve learned much here. I have severe RA. Fifteen years of pain but only a year with diagnosis. I take 22.5 mg MTX weekly. Can’t take narcotics – can’t handle the memory issues so I deal with the pain for the most part. I have a wonderful anesthesiologist who helped me through stage 4 RSD following joint surgery. They tell me I also have fibromyalgia and I take Topomax 50mg. I have gastritis of long standing and use Bexium which us a wonder drug and is effective with the side effects of the MTX as well. I’ve had sone real problems following a fall with a herniated disc which has complicated my care. MTX has helped me tremendously even though I lose a day a week to weakness (I take it at night and I’m wiped out the next day). I couldn’t get out of bed before I started. I was 55. It took me more than 2 hours just to get up. I’m still working thanks to my doctors and my treatment. I have my own business and I plan to work for several more years. I don’t plan to take the biologics because of the possibility of lung problems. I’m hoping researchers find the answer. I know I’m fortunate. Thank you for sharing Pattie. Fifteen years of pain but only a year of diagnosis is frustrating, isn’t it? I hear that too often. I hate hearing that. How did you finally figure out what was wrong? I just wrote a long comment on another post but then signed in to google reader and it lost it. Doh! Anyway, I have RA, diagnosed a couple of years ago (aged 25), fast onset and severe (full health to hardly being able to walk within 6 months) but treated brilliantly by the NHS in the UK. I am one of the lucky few who’ve gone into remission. I was on all the DMARDs, none of them working, so Humira was introduced and it worked perfectly. I’ve gradually been taken off all of the DMARDs apart from Methotrexate. Reading this made me think about how the disease is only being subdued – it’s not cured. I feel completely well (and so grateful) but it’s easy to forget that I still have RA – I’m just on strong drugs that keep it at bay. I wanted to ask if you know whether it’s possible that the drugs that I’m on could stop working at some point? I’m sure that it is. I’m 27 and would like to know what kind of future I can expect. Any advice would be so helpful. Thank you for your wonderful site – I feel such empathy for all of the people suffering and know how awful and frightening this illness is. Never lose hope. I’m so glad your treatment is working. Sometimes a treatment works for many years, so lets hope so!! Like you said, the Biologics (like Humira) can stop working as well because from what I read the body develops immunity to it. Taking methotrexate is supposed to be the best way to prevent that from happening. So you’re doing all you can. No one can know what future to expect. RA is very unpredicatable. What would I do if I were you? I’d stay with a treatment that works because going off & on it again can increase chances of the treatment not working. Vent anytime, wirechief. You’re right the prednisone can work very fast. Looks like you may also have some serious concerns with the prednisone and blood sugar though – I hope you get to a good doc who can help advise you with working with both diseases. Sometimes a very low dose of prednisone is effective too. Here’s an article about that – click here. The key is that RA is a DISEASE. I am walking, talking proof that treatment of RA with antibiotics can and does affect a CLINICAL REMISSION. I have now had RA for six years. I see a Rheumatologist (and of the hundreds of patients his practice, with several Rheumatologists, see, I am the ONLY ONE on the antibiotic protocol! So this is not a group of doctors who promote this protocol..in fact, my own doctor simply continues to be baffled at my success, but WILL NOT recommend this treatment to other patients!). I see that Dr. every 4 months. I have blood tests done annually to check out all systems…heart, kidneys, liver, etc. My Anti CCPR or whatever is now at 126 (or was a few months ago, after I had a relapse when I took Bactrim for a kidney stone post-surgery preventative, BAD IDEA.) My RA was caused by a leaky gut (had Giardia for a full year, undiagnosed until I had a colonoscopy). The clinical trials which have been done using Minocin (and don’t use any generics…they don’t work) frequently allowed the patients to continue on Methotrexate. Those adding the antibiotics always improved much more than those on the Methotrexate only. There are hundreds, if not thousands of us out there using this treatment with success. And a minimum of side effects. Please at least explore this idea! See information on the site by The Road Back Foundation, and read the book by Henry Scammell for more information. Maybe this will not work for all RA patients, but goodness gracious, it is SO MUCH BETTER than taking stuff that is poisonous! hi,my little daughter 5y has jra for 4y ,all of these past time she has eaten 2.5mg prednisolon every day ,sometimes 5mg or 7.5 by order of her physician and 5mg methox every week,she feels well and dosent have any special complain but her left knee always inflammed,her doctor lives in Tehran and is pedorhommatolog but here in our city we have famous adultrhommatolgist ,recently because of problems of traveling to tehran we decied to go to these specialist in our city but their treatment protocoles are different basically and i am confused and dont know what to do, her doc in tehran is not agree with these in Mashad,here doc stopped systemic prednisolone and begins with hdroxychloroqiune ,she takes his rhommato degree from canada ,tehran pedorhommato doc gets it from australia!they have different opiniones! can you help me what should i do with my little kid between these doctors and dugs?! Speaking as an adult dx’d w/JRA in 1984 at the age of 7(who was not properly treated as a child & so I live with the damage that possibly could have been avoided), it’s never easy for a parent of a child with JRA to know what the best course of treatment is. I can understand the one doc wanting her to not be on pred. It is one of those love/hate drugs. Kids with JRA are at risk for osteoporosis even if they’ve never taken any form of pred or other corticosteroid (I was dx’d w/osteopenia as early as 1987 and osteoporosis as early as 1989 and I had never taken any form of corticosteroid until I was 25 and had osteoporosis for 13 yrs) and adding pred in can cause that risk to rise. But I also know thar the risks of uncontrolled inflammation are just as scary. The risks of using pred are more easily monitored than the risks caused by uncontrolled inflammation. Knowing the risks with both scenarios and deciding which risks are worth taking helps in making the decision. Of course long term pred use has it’s risks, but just as with many adults who are not helped with their symptoms except by pred, many kids don’t respond to anything but pred either, so it has its benefits as well. In a number of cases the risks outweigh the benefits. For me, when I was without pred and other RA meds, I got progressively worse. Adding a DMARD alone helped quite a bit, but it was not until I started taking pred again that I ended up getting better, yet at age 35, I have osteoporosis that requires me to take Reclast. But since I am so stiff & have trouble moving without pred & I am not able to take other NSAIDs, the benefits outweigh the risks. The risks of corticosteroids like pred can be scary, but as long as proper monitoring is combined with using the lowest effective dose for the shortest time possible, then the risks are minimized. Risks of the use of corticosteroids (especially long-term and/or high dose) are: osteoporosis, increased blood pressure, cataracts of the eye, elevated pressure in the eyes (glaucoma), mood swings, weight gain-especially around the face (commonly called “moon face”), the abdomen, and the back of the neck (“buffalo hump”), high blood sugar, which can trigger or worsen diabetes, increased risk of infections, menstrual irregularities, suppressed adrenal gland hormone production (which is why stopping pred and other corticosteroids suddenly or cold-turkey is dangerous), thin skin, easy bruising and slower wound healing, and likely some others I am forgetting. Of all of these, the only ones I either have had in the past or do not currently have are the glaucoma and mood swings. I’ve battled high blood pressure most of my life, even before pred was in the picture. As a child, my BP was a concern until they figured out it was mainly due to what’s commonly called white coat hypertension. But, in my late 20s and early 30s, my BP was so high it was scary, which was partially due to pred use in a high daily dose for an extended time, and partially due to inflammation and pain, both of which can cause an increase in BP. I was dx’d with a cataract this past June. Most 35 yr old people would never dream of being told they had a cataract. For me, it was not a surprise given my continual use of pred from 2006-2009, much of the time at what is considered a high daily dose. I am now on a much lower dose, only 5mg and only take higher doses as part of a burst and taper during a major flare. The risks of uncontrolled inflammation of JRA are: joint damage, redness, swollen joints that are warm to touch, joint pain, joint stiffness, decreased range of motion or loss of joint function, general “flu-like” symptoms, & inflammation in the cardiovascular system (which leads to a number of problems like high blood pressure, risk of stroke, and heart disease). Inflammation also plays a role in: fatigue or a feeling of being tired, low-grade fever, chills and minor headaches, redness and swelling of the joints, joint damage, deformities of the hands and feet from the swelling and deterioration of tissues and bone, destruction of various tissues, including cartilage, bone, tendons, ligaments, and blood vessels. Inside the joint, inflammatory cells inside the joint cause: irritation/disruption, wearing down of cartilage (cushions at the end of bones), swelling of the joint lining (synovium), & production of fluid in the diseased joint lining (synovial fluid). As these things happen, the joint space narrows which can lead to the bone rubbing together just as they do in OA. Inflammation can also affect the skin, lungs, heart, digestive system, & kidneys. It can take a major toll on the body so getting control of inflammation is key. Prednisolone can do that, especially during the time it takes a DMARD to begin working. DMARDs can take, on average 3 mo or more to begin working. Something needs to be done to help the inflammation in that time. Sometimes a DMARD only has a partial response and symptoms of inflammation are still felt despite treatment with a DMARD. So an NSAID or some type of corticosteroid is necessary. My opinion is this: only you can decide which doctor is best for your child in the situation. And unfortunately, no matter what choice is made, as a caring parent, you may always wonder if the one you didn’t pick would have worked better. It’s just part of the process of the disease. I know patients who pick one treatment over another and then later wonder if they made the right decision. Know this, whichever choice you make, the other one will be available at a later date IF the first doesn’t work out. I forgot to add that if it were me in your situation, knowing what I know and live with, I would push to keep the prednisolone, keep and/or raise the methotrexate and either consider also adding the hydroxychloroquine OR rather than adding a second DMARD, add a biologic if that is possible. I don’t know how biologics are dealt with in Tehran or Mashad so I don’t know if that is possible. I do know I’d get in touch with the doctor that knows her history, making sure he knows the issue with you traveling to get there and tell him your concerns about her knee. He may be able to help in some way. I don’t know. Some docs are willing to do that for a patient they know. The new docs may be wanting to basically start with a blank slate. Whatever you decide, make sure they do NOT stop her prednisolone suddenly. Stopping it when a patient has been on it for an extended period can be harmful. hi,im very glad that you answered me so compelet .i think your wright about keeping in touch with first doc ,but i dont know about biologics,here recently speaks about homeopathy (if its spelling was correct! )ihave duobt to go to these treatments,they use the flowers extracts and nature things and moods and minerals,something like chinise medicine!do you mean of biologics of those or not ? Wayney got it all right there. All the pred use side effects mentioned, i experienced them all except for the menstrual irregularities ;). I couldn’t help but feel really sad hearing toddlers getting JRA. I mean what most adults with RA gone through is already unbearable, what more if it happens to children esp babies! That is injustice and it really breaks my heart! Though i was diagnosed with RA when i was already 28yo, I easily followed doctors’ orders down to the last detail of medication, from over the counter drugs to DMARDs to restricted drugs to injectibles. but my indescibable pain would not go away. a few hours of relief would soon be down to just a couple of minutes. the body fights both the RA and medicines and adjust to them. i knew my doc was running out of options for she’s not giving me any new kind of pills or whatever other than the ones she had already prescribed. the worst i think is when she suggested me to enroll in a gov’t funded RA treatment program. she used better words when she told me that but i knew what she meant. at that point on, i took control of what i take to treat my RA. i am now on my 9th yr with the last 2-3yrs being PAIN-FREE. no pharma products no invasive procedures. and i thank God truly for that. Still, i go and see my rheumy every 3mos just to check and monitor my already sleeping RA. I’m not saying that everybody should take the road i took. For I laud everyone for pitching-in in creating RA awareness and demand for better treatment, care and most importantly, the right cure. It touched and inspired me to go out in the open and tell the people around me what i honestly been through. but on the other hand, it’s difficult for me to hear and read that a lot of RA patients are still greatly suffering. There are some natural products out there that can help lessen the suffering, if not all. and if you decide to go and find it, still continue to see your doctors. That’s what I do. I already have text-book deformities (as what many of the doctors i saw would described them). But I don’t think about that anymore.Tthe most important thing is to stay pain-free and get back to a normal and happy life. And that is my wish for you all RA warriors! I have been on Methotrexate for only a week. I have been exercising with a exercise bike. My diet is Gluten free because of IBS that I have had since I was 10 years old. I have gained 4 pounds in less than a week. This sounds way to much to me. This is the only side effect I am having from my first dosage of Methotrexate, but at this rate of weight gain I may become obese. What can I do? I am 5’3″ and weigh now 136.6 pounds. This is at the top of my weight class. Also, my husband and I would like to travel to Costa Rica but I am concerned about the vaccines I may need what can I do about this? I have never heard of that sudden weight gain happening before from the methotrexate. Is that the only medicine you’ve been taking? I’m planning to do a post on vaccinations in the next day or so, so hopefully it will be helpful for you. I’m not sure about what rules apply for Costa Rica though – have you asked your doc already? Hi, I’m sort of new at the war game. Seeing an orthopedic for a hip replacement. Not looking forward to it. Has anyone else had one? Do you know if I will have to stop my metho./Enbrel before operation? Forgot to ask my Rumy I’m sure they will tell me. Would like to get some input. Thanks. Thank you so much for an informative site. I recently started taking MTX, then had to stop as I became ill with pneumonia. When better, I will continue taking it. I have struggled with myself taking medication, as I do not want to harm the rest of my body by saving one section. The way you have described the buying a ‘big gun’to deal with the major ‘thief’, (of our health), and leaving the ‘left overs’ for a rainy day, was just what I needed to hear. It helped me reach a difficult decision. Blessings to you for sharing. I am dealing with the leftovers today. The prescribed anti-inflammatory Diclofenac upsets my stomach horrendously I just had to stop taking it yesterday. Today my stomach is way better but I am in horrible leftover pain! I should add I am currently on Enbrel and methotrexate. The pain medication was taking care of the unresolved elbow/knee/hand pain.